KTM India recently launched the 2017 Duke series. There is a lot of following of the KTM motorcycles in India, especially the Duke series. During the launch of 2017 Duke series, KTM said that India would become their largest market in the world in 2017. KTM is currently working on the Adventure 390 and the bike will be the Austrian brand’s next BIG launch for the Indian market. The adventure bike category has remained restricted to the expensive and big motorcycles till now. The launch of the Royal Enfield Himalayan in India and the official showcase of BMW 310 GS, Suzuki V-Storm and Kawasaki Versys X-300 has changed the game completely. KTM is getting closer to join the arena with the long awaited 390 Adventure. The 390 Adventure has been in works for half a decade now. 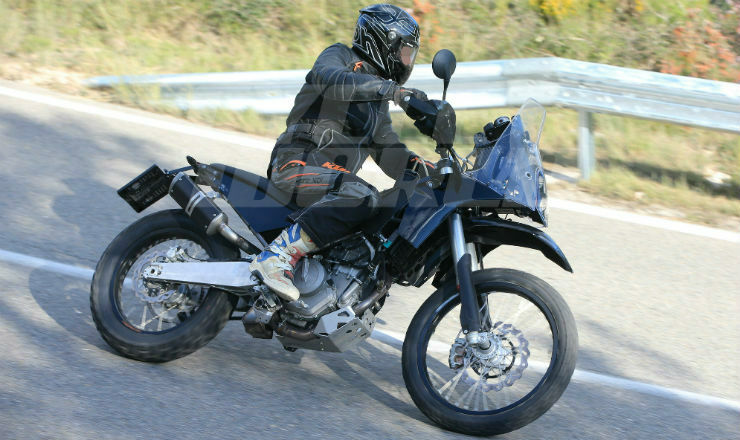 KTM first hinted about the 390 Adventure and then said that the project is not viable. Now that all other manufacturers have jumped into the fray, KTM has also decided to revive the project. And test mules of the bike are doing the testing circuit. The bike’s getting closer to launch. KTM calls it a Travel Enduro, but in more simple language, the 390 Adventure is an off-road motorcycle based on the KTM 390 Duke and RC 390 platform. KTM will use the heavily modified version the frame to increase the ground clearance, a beefier swingarm, rear suspension with extra travel. 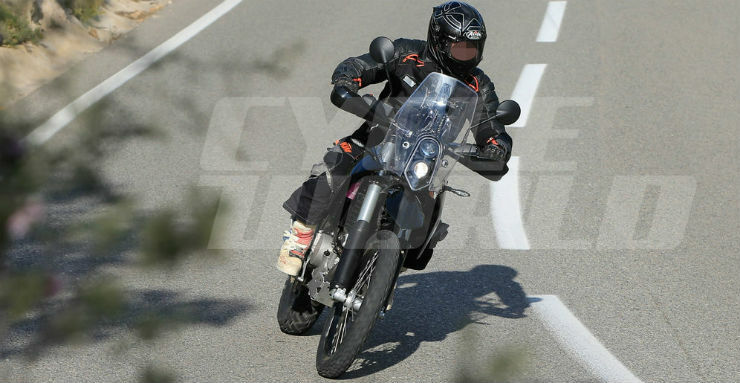 The prototypes of the motorcycle have been spotted testing in the UK by CycleWorld, and from the pictures, it is evident that motorcycle will get different size of tyres at the front and the rear. The front is presumably 19-inch tyre, and the rear is a 17-inch wheel. The motorcycle will get 7-inch travel up front while Brembo disc brakes will take on the braking duties care. The engine will remain same as the current Duke 390, but the engine case of the prototype seems to be bit different. The new engine case suggests that KTM may be upgrading the case to make it tougher for the off-road trails. But, does it make sense? Currently, many 390 Duke owners use their motorcycles for touring. With the 2017 update, KTM has started creating space for the 390 Adventure by making the 390 Duke more road biased. The 2017 390 Duke comes with more electronic equipment like the TFT console, which makes it fragile for off-road. Even though the new 390 Duke has a larger tank made out of steel instead of fibre, the motorcycle gains more weight, which restricts the movements during off-road trails. KTM has already created enough space for the Adventure in the market, and when it arrives, there will be touring enthusiasts who will be waiting for the motorcycle. The success of the Royal Enfield Himalayan also echoes the same thoughts in India. Bajaj Auto’s top honcho, Rajiv Bajaj has already confirmed the launch of the motorcycle in India. The 390 Adventure will be made in India, but before that, KTM will showcase the production version at the EICMA 2017, which is scheduled to happen in November. KTM will subsequently bring the motorcycle to the Indian market in early months of 2018. By that time, we may also see the arrival of the BMW 310 GS in India and the enthusiasts will be spoilt for choices. Expect the Adventure 390 to be priced above or at the same level of the 390 Duke. Even though the motorcycle will miss out on the TFT console, there will be other, stronger parts in the bike that will make it a very potent off-roader.